MORE PRODUCTS ARE AVAILABLE. Contact us for more information. ASN plant - 125mm x 81mm. 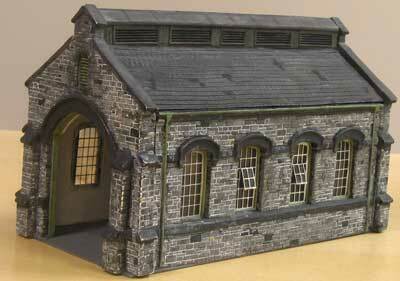 Townbridge station - 374mm x 100mm. 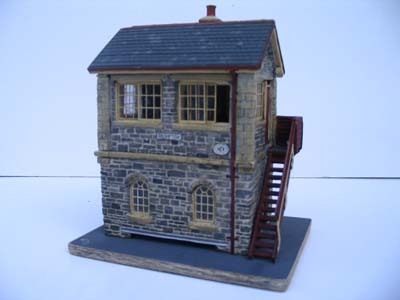 Stone signal box - 72mm x 50mm. 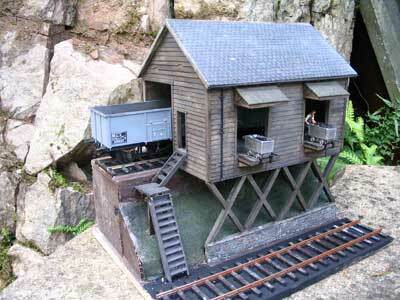 Single road stone engine shed - 360mm x 143mm. 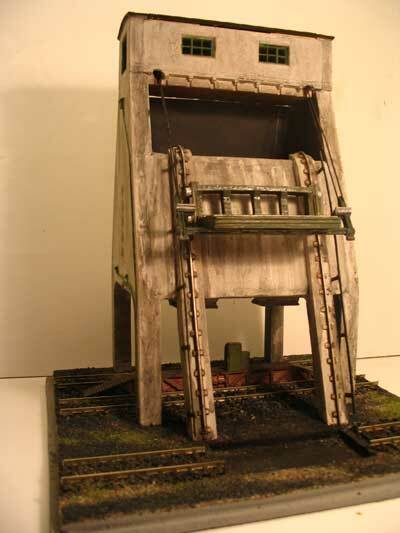 Type two coaler - 223mm x 170mm (height 338mm). 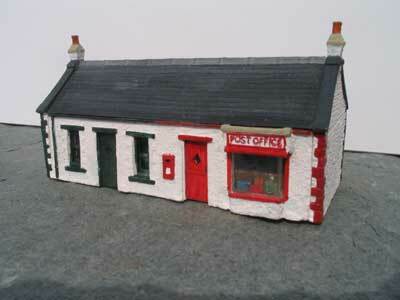 Post office cottage - 152mm x 62mm. 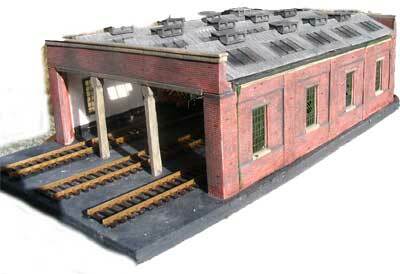 North light engine shed - 291mm x 184mm. Low relief factory - 220mm x 62mm (max). 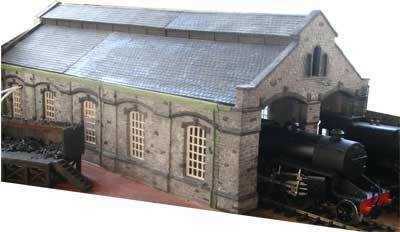 Louvre roof engine shed - 290mm x 195mm. 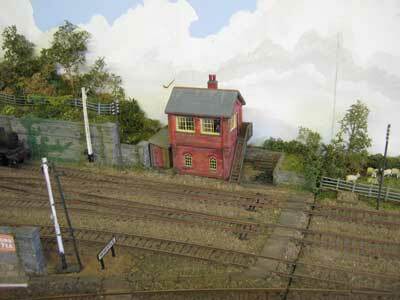 Large signal box - 117mm x 50mm. 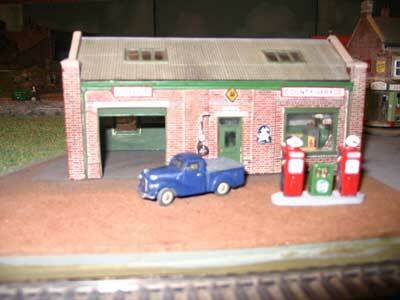 Garage - 150mm x 76mm. 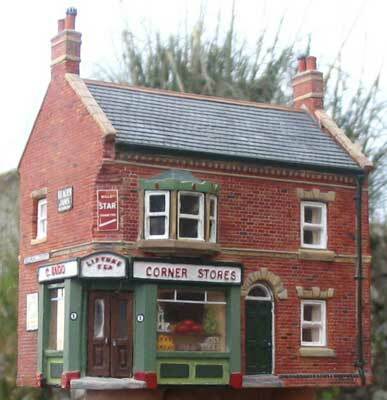 Corner shop - 124mm x 69mm. 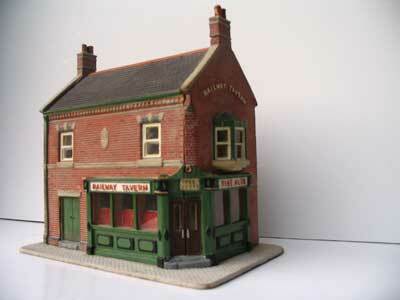 Corner pub - 124mm x 69mm. 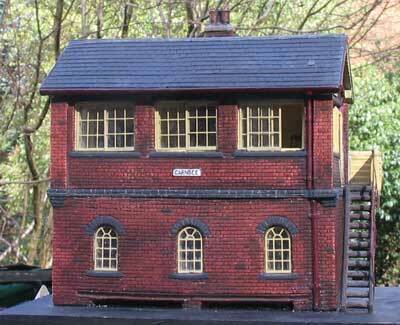 Brick signal box - 72mm x 50mm. 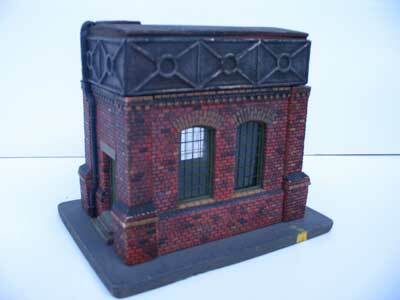 Brick water tower - 95mm x 64mm. 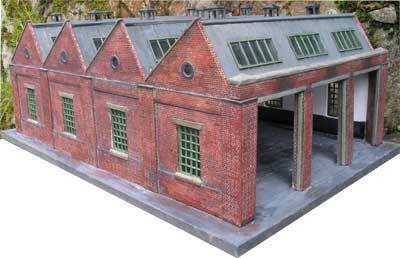 Brick goods shed 243mm x 125mm. 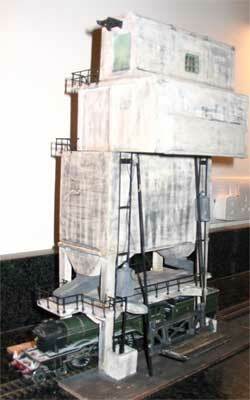 Concrete coaling tower - 139mm x 150mm. 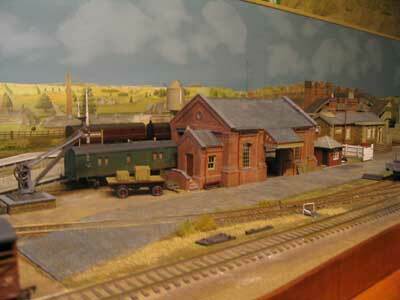 Acklington station - 411mm x 115mm. 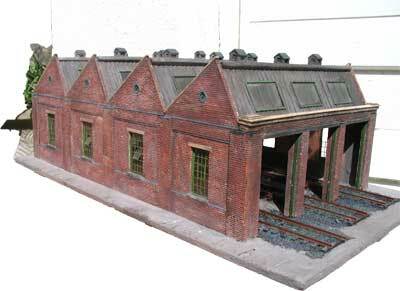 7mm type 13 station - 660mm x 183mm. 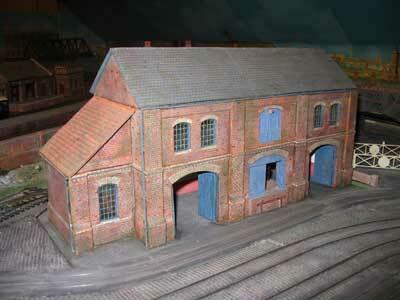 The 'North light engine shed' is one of our most popular. 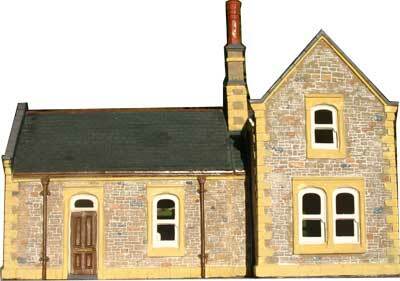 It's distinctive roof style adds an interesting feature to any layout. 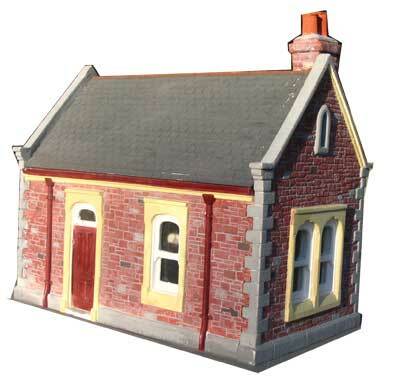 The model measures 184mm wide and 291mm long and can be built as a through road or dead end shed. Length extensions (1 window wall) measuring 68mm in length are available at £15 each. - 528mm x 358mm. 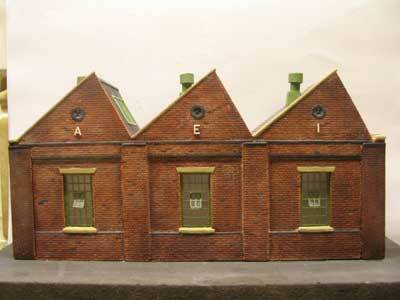 7mm two road stone engine shed with extension - 572mm x 242mm. 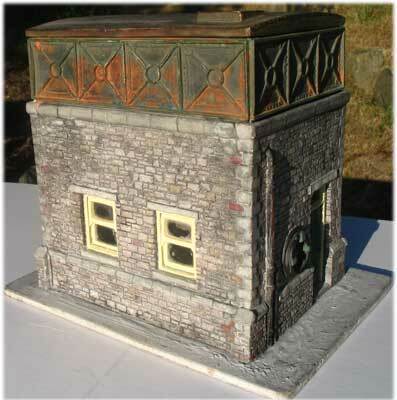 7mm stone water tower - 152mm x 117mm. 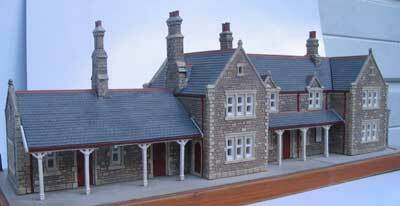 7mm stone type 4 station - 298mm x 108mm. 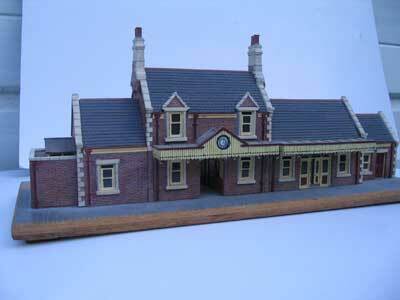 7mm stone type 1 station - 191mm x 108mm. 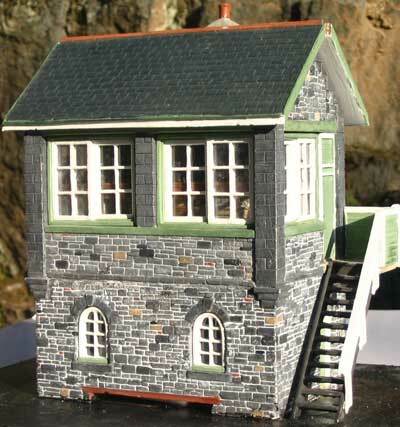 7mm stone signal box 135mm x 95mm. 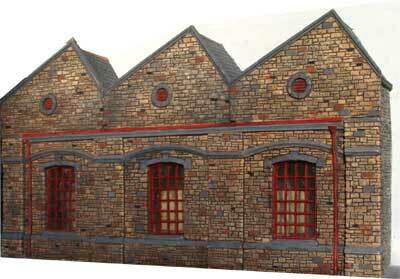 7mm low relief factory - 350mm x 65mm. 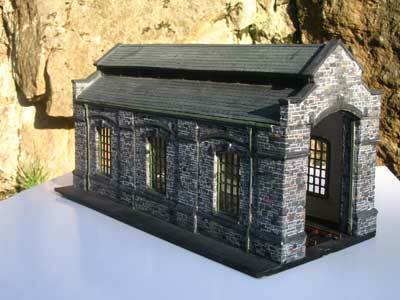 7mm stone goods shed - 356mm x 242mm. 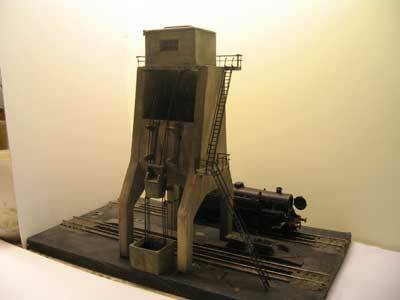 7mm coaling stage - 215mm x 152mm. 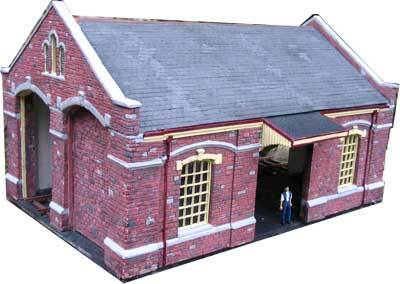 7mm Stone single road engine shed - 360mm x 143mm. Layout and design by animi.